Crime Stoppers was targeting new synthetic drugs dealers and users. These hard drugs are sold in confectionary-stlye packaging online, and under the counter in adult shops, tobacconists and herb shops. We produced this authentic looking fake drug packaging but didn’t put chemicals inside. The ‘drug bag’ contained a mini brochure. 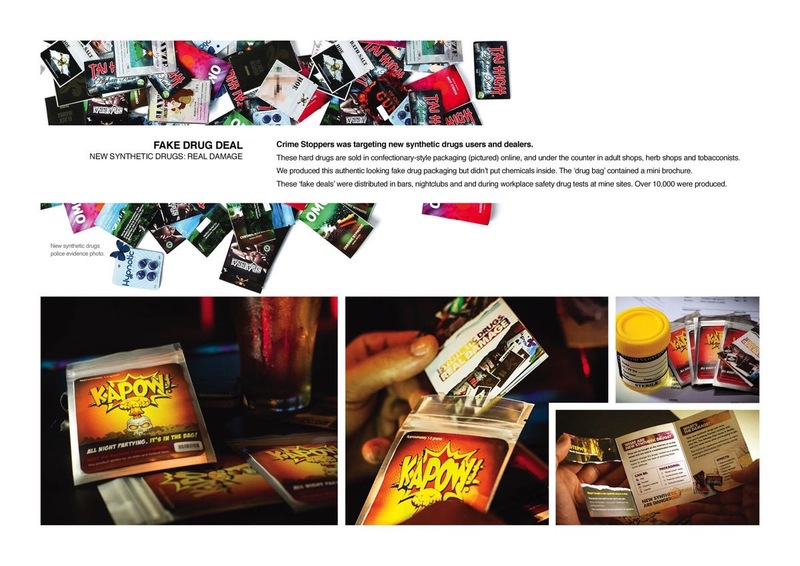 These ‘fake deals’ were distributed in bars, night clubs and during workplace safety drug tests at mine sites. Over 10,000 were produced.